While the title of this drew me in, I’m not sure I agree with everything she lists. I think everyone has those moments where you wish you had known, thinking “in retrospect I would have done differently.” And I like the healthy and ever-blossoming expat blogger community. Everyone is going to have their own unique experience to share. I (somewhat humbly) acknowledge that not absolutely everyone is going to like or agree with what I say. Though I hope to at least be mildly amusing or a nice beach or commute read. The American Resident is more of a domestic goddess compared to my Bohemian nature. 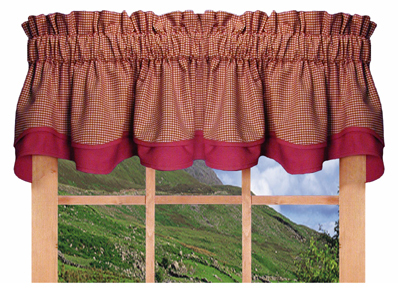 It’s refreshing to peek through the gingham curtains to see how the family-oriented live. She talks about returning to your country of origin more often that I would consider. I cut the apron strings though still have massive love for my family and friends in the States. She also suggests applying for dual citizenship immediately. I think that’s a side effect of being in a relationship where your partner is of different origin. Some of my American friends were semi-horrified when I first referred to myself as expat, as if indicating I was giving up my American citizenship. So dual citizenship was not something on my radar my first year or so. Though dual citizenship through marriage might be kind of awesome. And yes, I realize one needs to actually start dating first. She also talks of having an emergency fund saved up, for a sudden need to travel to the homeland I guess. Again those are the responsible words of a family woman. I respect that, and having a savings account is always a good thing. I tend to be more immediate-gratification oriented and live often on a shoestring (though with my new job, my financial situation should improve enough for me to invite the s-word back into my vocabulary). But wandering around the rest of The American Resident’s blog, she’s got a lot of creative and interesting things to say and pics to share. I rather feel like it would be lovely to spend an afternoon drinking tea with her (is there an alcohol that mixes with tea, I wonder). Give her a read and let me know what you think. Things I wish I knew as a new expat – The American Resident.